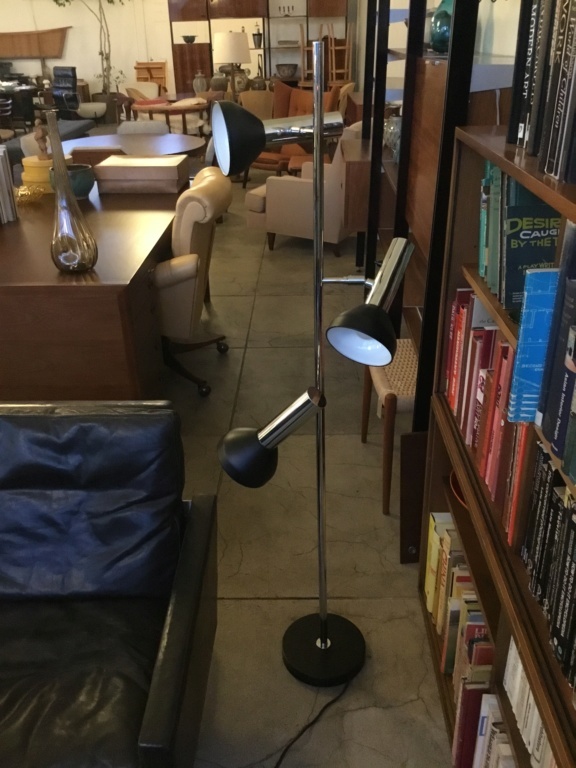 Looking to ID a German three-shade floor lamp (pictured below). I've found identical wall-mounted and ceiling mounted shades in Furniture Forums 14-17 sold in the US by Hanseatic Furniture Company. Though there is little information about Hanseatic available online, I gather from my limited research that the company was based in Chicago and represented German furniture brands like Wilkhahn and Staff Leuchten. 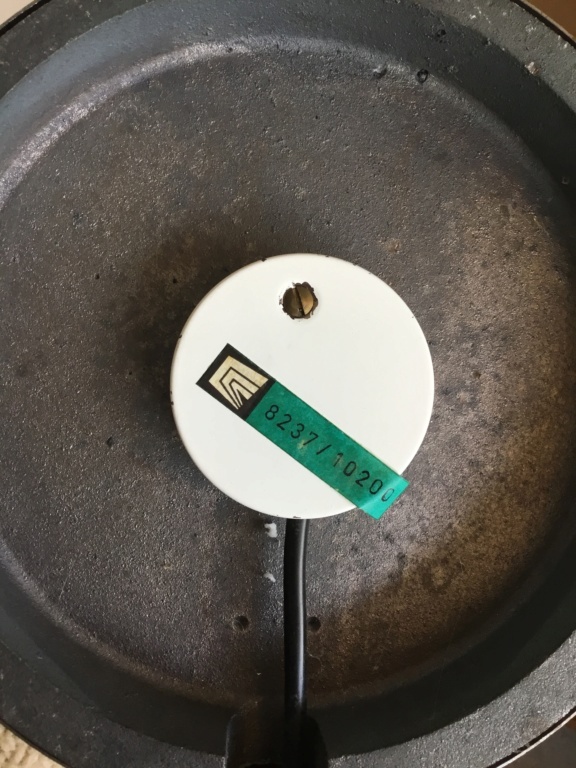 This lamp has a label on the bottom with a pictorial logo and what appears to be a serial number. Although perhaps the graphic could be a German version of UL labels in the states. My area of expertise is decidedly not German lighting. If anyone has any insight, I'd love to hear it. If you google: Cosack Fantoni, you will find a similar lamp. Thanks, I will look into it a little bit further. I had seen the Fantoni attribution passed around a bit on 1st Dibs and Pamono, but wasn't sure if it was just another baseless ID. I will see if I can find an original ad that gives Fantoni as the designer and be sure to share here if I do.